Out of the corner of my eye I see a flash of white. There it is! 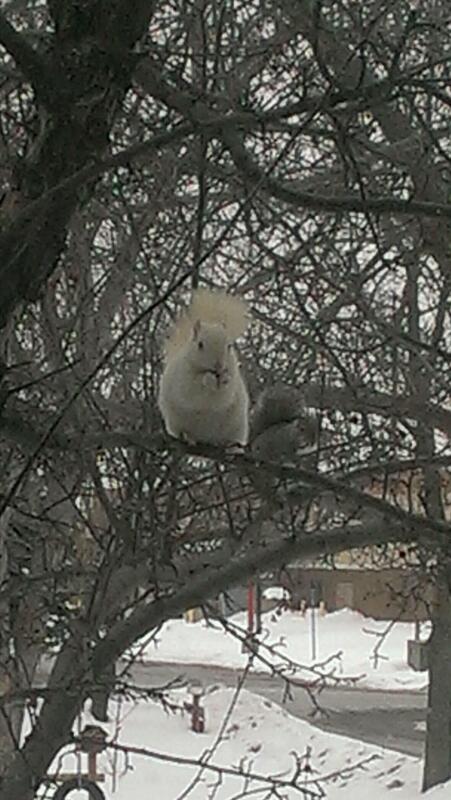 The elusive neighborhood albino squirrel had just darted up a tree outside my window. Since the winter snow had fallen and blanketed our backyard, I hadn’t seen our little friend as much. I had missed his fluffy white tail and little pink nose. He finally blended in with the world around him.